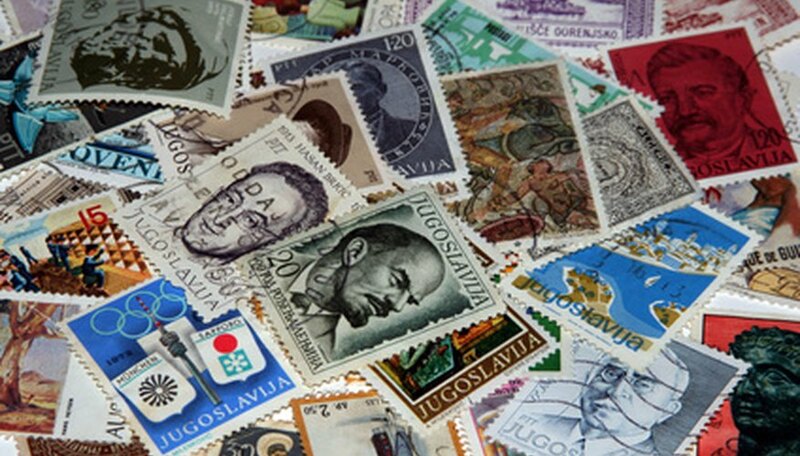 A common mistake made when trying to identify a stamp is misunderstanding the description. The 8-cent Eisenhower stamp was printed in the early 1970s. It is described in the value guides as black, red and blue-gray. The blue-gray may be referred to as blue by some collectors. All three colors are on the same stamp. The portrait of Eisenhower is bluish-gray, the word “Eisenhower” is printed in blue and the letters “USA” are printed in red. There are two versions of this stamp. One has a dot between the words Eisenhower and USA, and the other doesn’t. Compare the stamp you have to the pictures and descriptions of the Eisenhower stamps listed for 1970-74 in the Scotts Stamp Value Guide. Record the numbers or bookmark the page in the catalog so you can find it again quickly. The value guides can be purchased at any online or bricks-and-mortar bookstore. Determine which version you have by comparing the colors and determining whether it is a used or unused stamp. Also look for any tears or worn spots on the stamp. Check the bottom of the written listing for any other information that may apply to this particular stamp. You may need to look to see if it is an error stamp or misprint. Use the magnifying glass to determine the number of perforations on the sides of the stamp and how many sides are perforated. A coil stamp will have straight edges on the top and bottom, so it will have either two or four perforated sides. Any other condition may indicate that the stamp has been cut, making it almost worthless. In the value guide, read across on the line for stamp # 1394 and you will see the description "8 cent, blk, red, bl.gray." The used and unused values are the same, so 20 cents is the value. The description also tells you it was printed in 1971. There are further listings underneath that indicate the misprinted stamp but no value is given, so you must assume that at the time of printing no value had been recorded for the other variations.